Comedy Studies is excited to offer a special six week summer version of our program. Perfect for students in Conservatory programs or other majors that make it difficult to do a full semester in Chicago as well as recent college graduates looking to launch themselves in the city of Chicago, this 12 credit hour program provides an immersive focused experience in the study of comedy writing and performing. The summer session students take class from 9:30-5:00 PM five days a week and study writing, history, improvisation, and physical comedy. 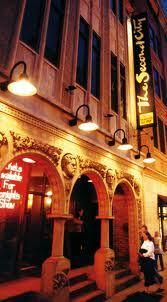 The program ends with an early evening showcase performance in one of the Second City theaters. For information on pricing and how to apply, please go to our Admissions page.